Introducing “state of the art” Wireless Time Domain Distributed IP Technology that is revolutionizing the world of mineral exploration. 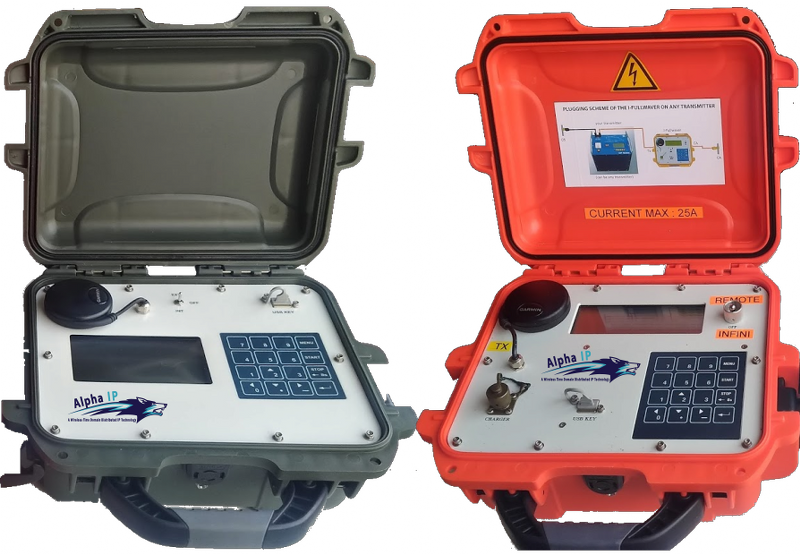 The latest acquisition system acquires both 2D & 3D data and delivers the highest quality subsurface information over 1km depth. Our Alpha IP system enables our clients to focus and optimize their decisions on all mineral exploration prospect areas providing great detail and allowing the greatest potential. The Alpha IP is focused on delivering the best results, while lowering capital and operating expenses. These goals are achieved via increased system automation, lower equipment costs, and significantly reduced system weight, resulting in reduced cycle times, less crew personnel, and lower HSE exposure hours. Alpha IP Wireless Distributed technology provides high resolution data to resolve smaller targets which could be missed in conventional IP surveys. Our survey design will eliminate data redundancy and unnecessary current injections, which ultimately saves you money. Alpha IP features a GPS timestamp architecture that scales Alpha IP to much higher channel counts than conventional IP systems. Alpha IP supports totally flexible layout geometries, so that survey designs are no longer constrained to the “multiple 2D line” geometries that previously have been required by traditional cabled systems. An automated schedule recording capability means that the Alpha IP requires one time setup and then can record data with minimal user intervention for almost one week. No cables between receivers, no fixed or preset positions of electrodes need to be respected. There is an internal GPS module for each unit. Post processing of raw data for improving signal / noise ratio. The time-series data is archived and can be used and reprocessed with any future survey data. Programs are available. Several receiving directions of each transmit position gives real 3D data which can be interpreted with 3D inversion software. Quick set up in the field, no movement of receiver units or for the many positions of the transmit electrodes. Many units allow coverage of large areas and increases resolution. There are no wires between the units.